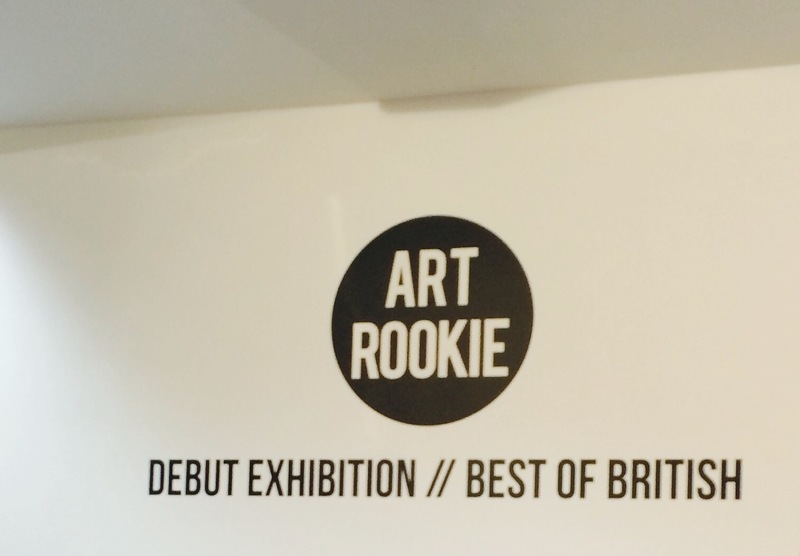 Art Rookie, the online sales platform for UK artists and graduates that helps turn their work into commercial success, opened their debut exhibition Thursday 17th March at theprintspace in Shoreditch, London with a packed private view. On display were works from seventeen of their successful members and most prolific artists alongside three lucky handpicked competition winners. Historic pop culture icons sat side by side with young pretenders to the throne, with film, music and TV as popular muses. Zap Bang’s favourites were Karl James Mountford’s spikey Wizard of Oz illustration capturing each character’s recognisable traits in capable brushstrokes, and Mike Hazard’s black and white horror duo of Scream’s Casey and Mr Bateman from American Psycho, except for the slashes of bright red. Helen Green’s Bowie piece is recognisable and one of Art Rookie’s most popular works, often featured in magazines (though on home decor items, which Art Rookie illustrations are also available as). In the wake of his untimely passing this acts as a fitting souvenir of the man that could only be defined as undefinable, with various incarnations represented on canvas. In an identikit world it gets harder to be original as Bowie was in his time, but an artist whose image, music and videos can be called, that rare thing, “unique”, is FKA Twigs who artist Sky Fisher chose to represent in gorgeous dreamy pastels. Her portrait of Kevin Bacon as his ruthless House of Cards character in dark, moody green tones worked in sharp relief. 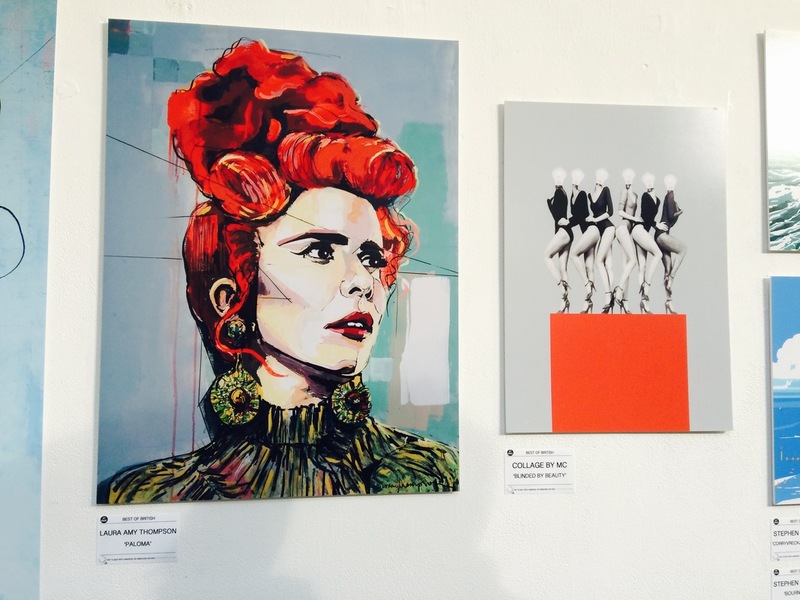 Two of pop music’s most colourful creatures from Laura Amy Thompson’s portfolio were chosen for the exhibition, Paloma Faith and Amy Winehouse. Three of the biggest pieces (in scale) were given over to three of history’s most enduring talents - another Bowie piece, a Jimi Hendrix artfully created from tiny guitar silhouettes (both by Robotic Ewe) and the eternally beautiful Audrey Hepburn by Sophie Eves. Interspersed between were smaller but no less creative pieces that took vintage railway posters, Bauhaus collage and wry social commentary as their inspiration. The exhibition, which runs until Thursday 24th March, will no doubt be a success for all involved. 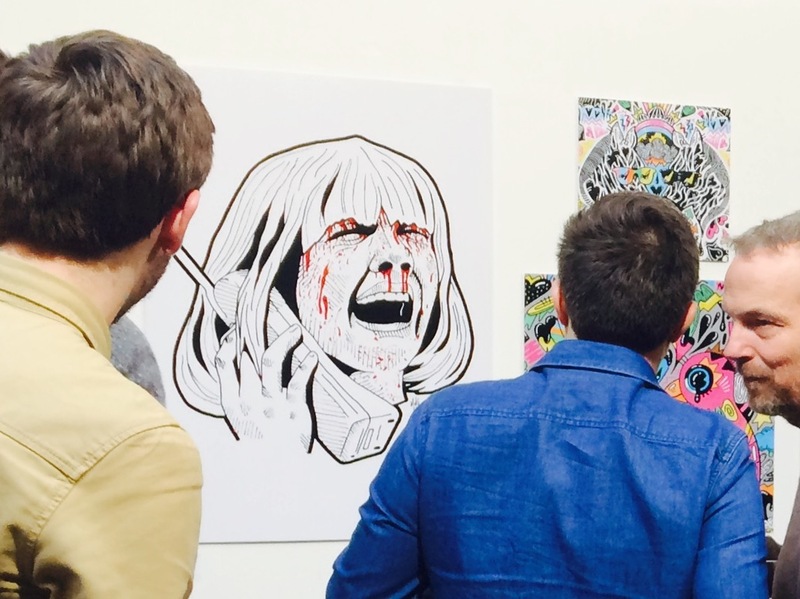 theprintspace provides a captive, print loving audience for Art Rookie’s artists, and the printing and framing specialists enjoy the footfall such a vibrant and pop culture driven show will bring in to access their bespoke services. But I felt that it was a shame none of the home décor items that you can buy from Art Rookie were on display, as it is their bags, mugs, plates and cushions all with unique, British designs that I love most.